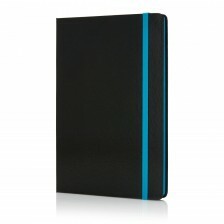 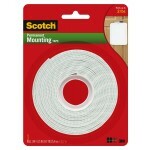 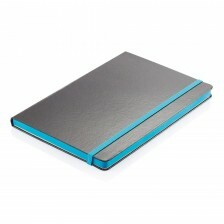 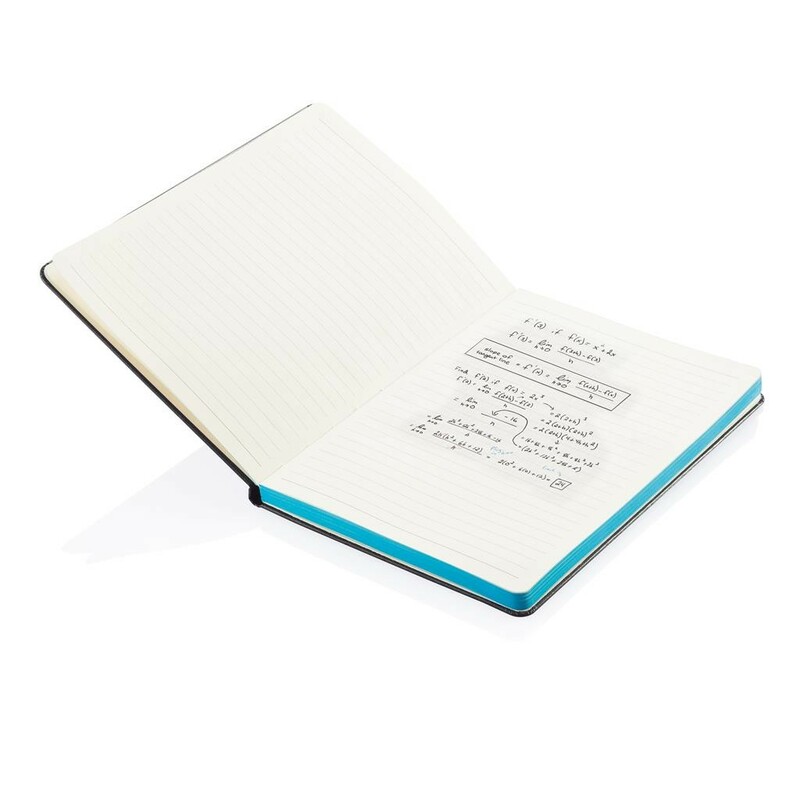 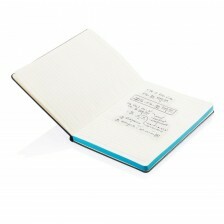 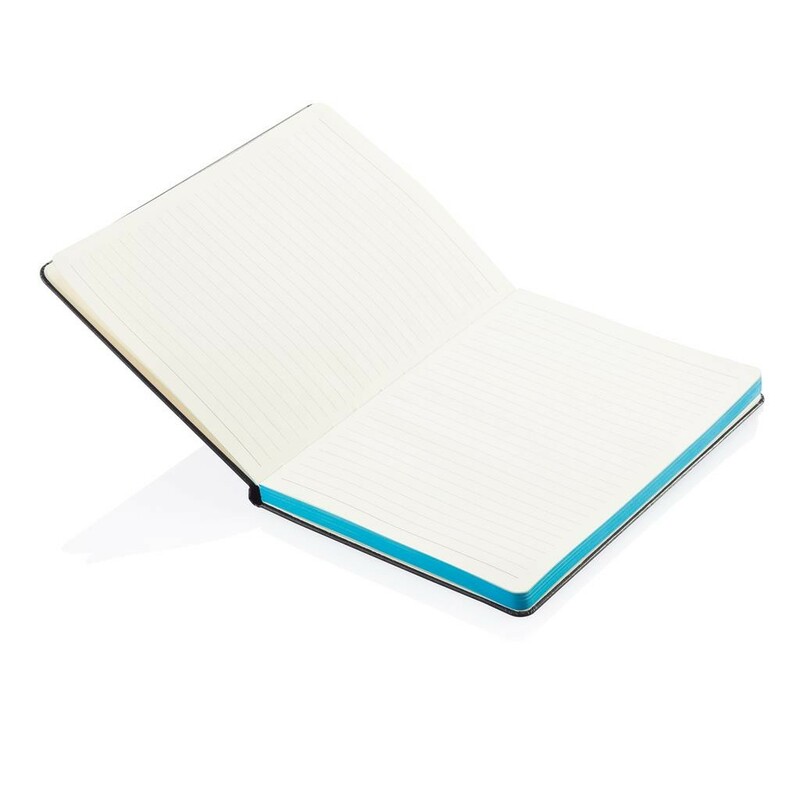 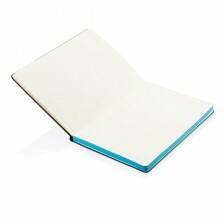 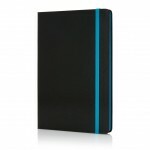 Sukh Hardcover A5 PVC notebook with contrast colour sides and elastic band, 192 ruled pages, 70gsm. 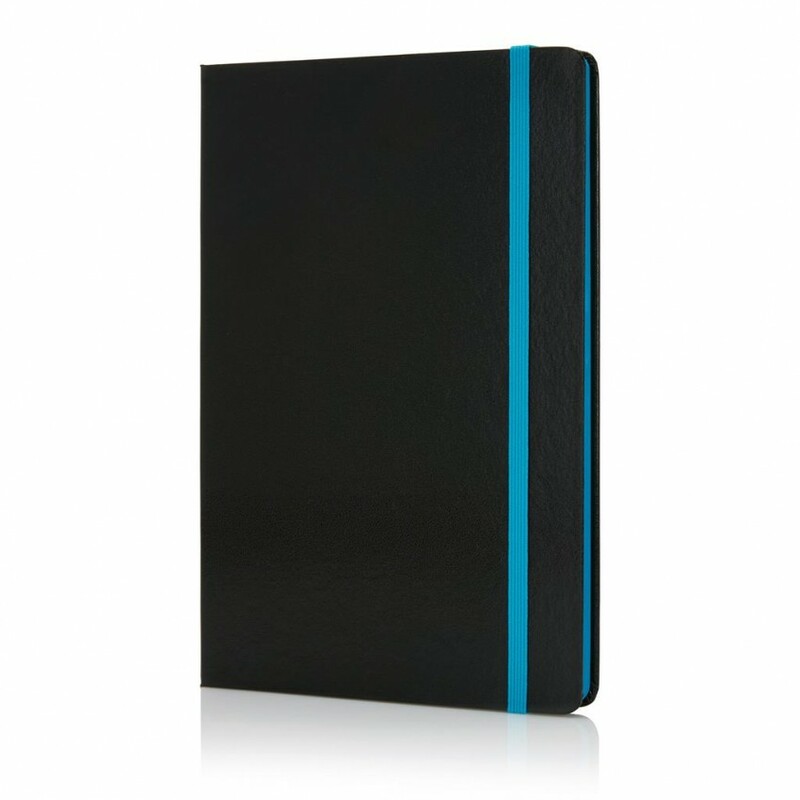 Every notebook is thread bound and comes with rounded corners, a bookmark, a penloop, an elastic closure and an expandable inner pocket. 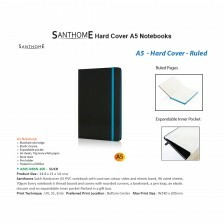 Packed in a gift box.